Wireless earphones are a type of earphones that are made without any jack and connects via Bluetooth. Although there are some issues with it from the beginning since plugged earphones will still sound better, the fact is with recent technologies nowadays surrounding wireless connectivity and audio quality, it becomes way better. That might even be one of the reasons why companies are ditching the headphone jack so that they can add more hardware features on their feature packed (cramped) devices. While some people hate the idea of ditching the headphone jack for some well loved and well known smart devices, people loved the wireless devices. It’s not really a conflict of interest, it’s just that wireless earphones sounds better now and not to mention that it looks way cooler than people get drawn too it easy. You can’t really say that its way more expensive than wired earphones because there are wired earphones that are way expensive and there are wireless earphones that are very cheap. 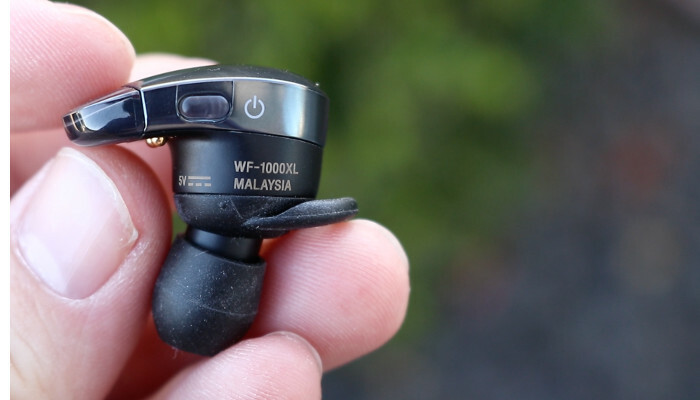 Buy the ones that are waterproof or water resistant: Not all wireless earphones are waterproof. If you really want something that you can bring almost anywhere, like in the gym, even in the rain without worrying that it’s going to be damaged, buy one that’s either waterproof or water resistant. Just so you know, waterproof means water can’t go inside the earphone, while water-resistant means water can go inside but the electronics have a special coating that prevents it from getting wet (like most smartphones nowadays). But the ones that can be charged easily: The complain about wireless devices and its weakness has always been the battery life and that’s perfectly understandable because a small device means a small battery. But there is a solution for it, pretty sneaky really and that is by making the charging case this sort of external portable battery where it can help make your earphones last longer. Usually, it adds a decent extra 8 to 16 hours of your usage time (depends on the product). So when you buy a wireless earphone, make sure to check the specks like the battery life. Buy the ones that are comfortable in your ear: Although wireless earphones were designed to stick into your ear really well, not everything does. There are some that are just bad with the design that the earphone will just fall off. For you to know how the fit goes especially if you’re buying online, its best to read reviews about it. usually, people will complain about anything including the fit if it’s what was something wrong with it. Wireless earphones have been the go-to for people that are always on the go, its ideal for travels, long walks, gym, long runs and many many more. Its ability like water resistant or being totally waterproof makes it ideal and since most of them now have a handy-dandy charging case, battery life is no longer a problem. Just don’t forget to do research as well. If you’re looking to buy wireless earbuds online Australia, head out to flowfonix.com.